I was expecting good Mexican food in El Paso. L&J Cafe was my first experience with Mexican food in the city. They were located in a historic building with a view of a cemetery. L&J seemed to be an happening place with a wait when I arrived, plus people all around town were recommending it as a good Mexican restaurant.. I tried the Machaca Plate. This was new to me and consisted of shredded beef mixed with scrambled egg, tomatoes, onions, and jalapenos. Refried beans, rice, and tortillas were served on the side. Pretty tasty. Trying something new at a Mexican restaurant was a nice break from the standard enchiladas, tacos, and tortillas that pretty much everyone serves. 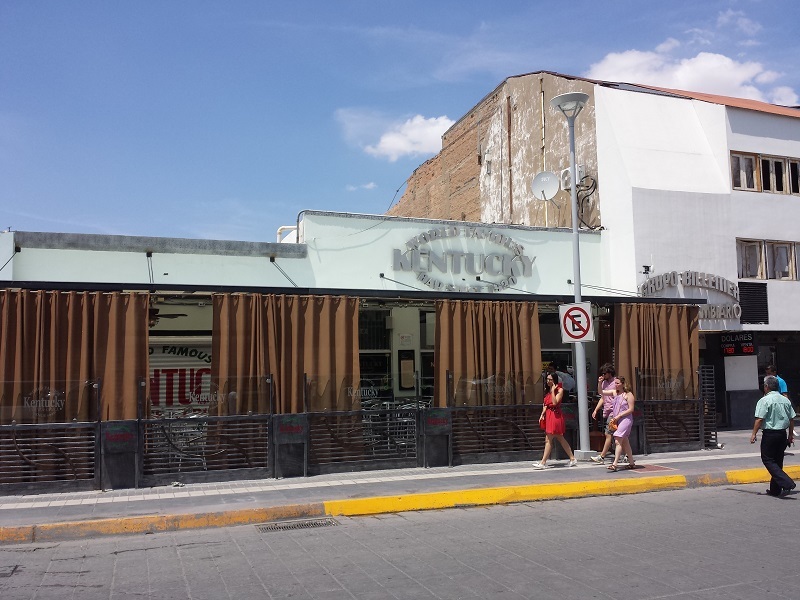 This was another restaurant in downtown El Paso which was recommended. Burgers aren't normally my first choice on a menu, but the Toreado Burger caught my attention mostly because I didn't know what a toreado was. Turned out a toreado is a roasted jalepeno. The burger was topped with the toreados, provolone cheese, sliced avocado, mushrooms, and cilantro. I picked something called Sidewinders as my side which I actually enjoyed more than the burger. These were a combination of a wedge fry and a curly fry, with some really tasty seasonings. I had these from a food truck at the El Paso Convention Center. Pretty standard Mexican style tacos with meat topped with cabbage, cheese, and lime. 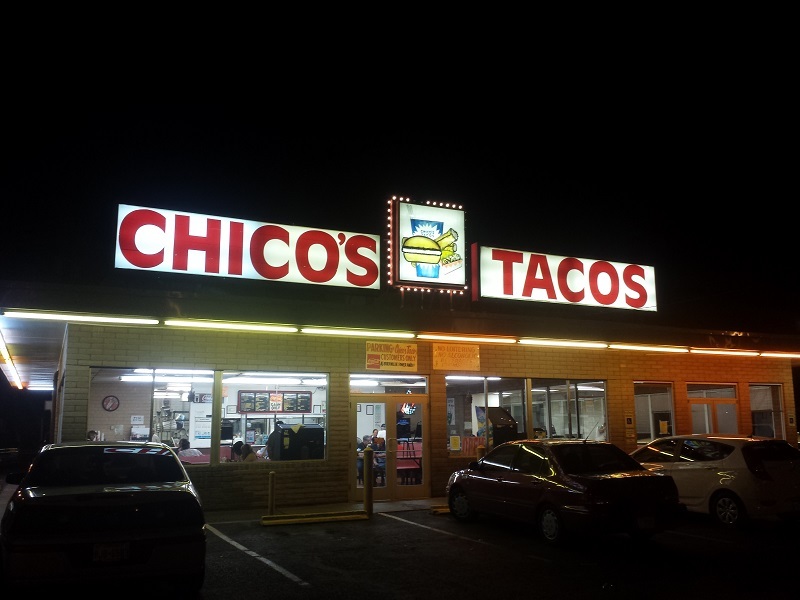 Chico's Tacos was a local chain with several locations, most of them open late at night. 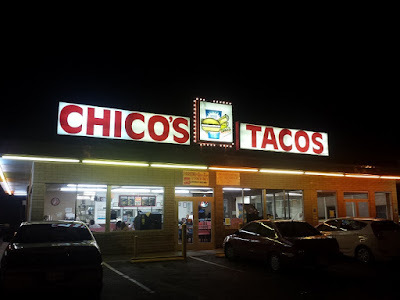 I visited the original Chico's Tacos location on Alameda Avenue which has been around since 1953. This place was interesting. The tacos which Chico's serves weren't like tacos I know. These were rolled up tortillas filled with ground beef, then drenched in a pool of red sauce and covered in cheese. The tacos were tasty junk food, but I don't know if I'd rush out to get tacos like this again. El Paso and Juarez, Mexico are basically one city with a pesky international border. My hotel was located a few blocks from the border and I could see more of Mexico than the United States from the hotel's window. 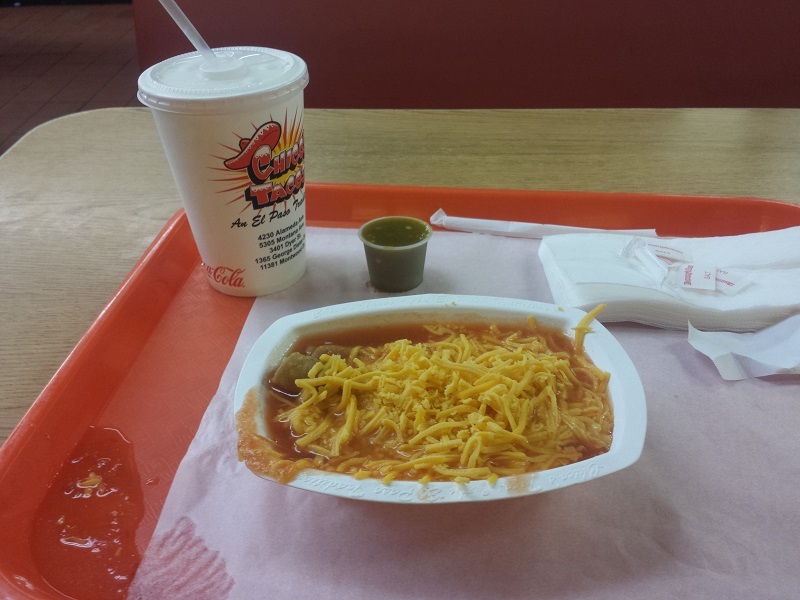 Because of this, I had to venture into Juarez while I was in El Paso. After the easiest border crossing/customs I've ever been through, I spent a few hours in the city. 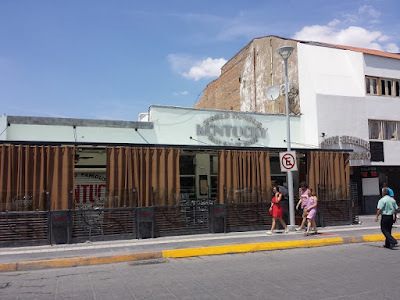 I didn't have any food in Juarez, but something food related worth noting was The Kentucky Bar. The Kentucky has been around since 1920 and their claim to fame is having invented the Margarita.